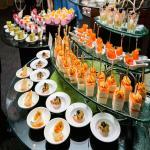 It’s pretty clear to us that you, the Eventup Blog readers, know what’s what about event planning. Between the posts we’ve provided and your comments on Facebook and Twitter, we’ve gotten a taste of your ideas – and we like them! In fact, we want to build the event industry and this is one way to do it - so every Friday we’ll be bringing you news of job openings from the event industry! Paramount Pictures Studios has an immediate opening for a Special Events Manager. This position will be responsible for the overall coordination and execution of all assigned on-lot and off-lot events. This role reports directly to the Executive Director of Special Events and will be the key liaison between the client and all internal and external operating partners in order to ensure a flawless event. As part of the Event Leadership Team, this position supports the planning and execution of 2 X Games events. This position contributes to the overall event management plan, interfaces with respective Local Organizing Committee (LOC) members, and ensures event objectives are met or exceeded. This position has additional responsibilities in support of the event marketing program for other events in the 6-event X Games season. As Project Manager for Regional Launches, you’ll be the driving force that collaborates across international boundaries to plan every aspect of a regional launch, from preparation to liftoff, and marshal support from Rioters all over the globe to make player-focused initiatives a reality. Responsible for assisting, entertaining and maintaining relationships with meeting planners to meet and/or exceed expectations while hosting events at Montage. Oversee client functions to ensure customer satisfaction. Participate in daily business review meetings, pre-convention meetings, training and other catering sales related meetings as required. Work with other departments within the hotel to provide quality service to customers.